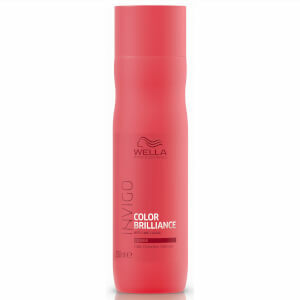 Discover multiple hair benefits in one with the Wella Professionals INVIGO Color Brilliance Miracle BB Spray. Lightweight and non-sticky, the styling spray utilises Antioxidant Shield Technology to protect locks against the damage caused by environmental aggressors, as well as improving colour vibrancy and shine. Gently detangling strands and smoothing the hair cuticle, the formula leaves locks silky, bright and healthy from root to tip. Påfør direkte i lengdene og tuppene på fuktig hår. Skal ikke skylles ut.